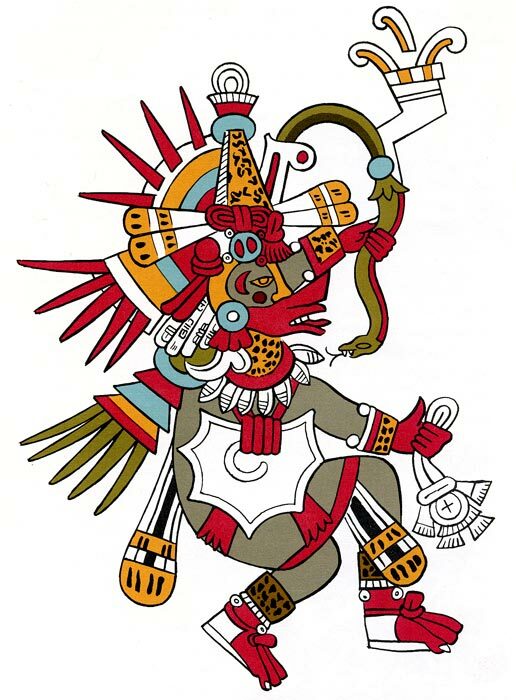 Samuel Martí, in many ways the grandfather of research into Mexico’s musical history, interpreted this image, from the Florentine Codex, as ‘An Aztec conch shell trumpeter performing at a funeral ceremony’ in his classic work ‘Instrumentos Musicales Precortesianos’ (1968) (Pic1). At first glance he could well be right. 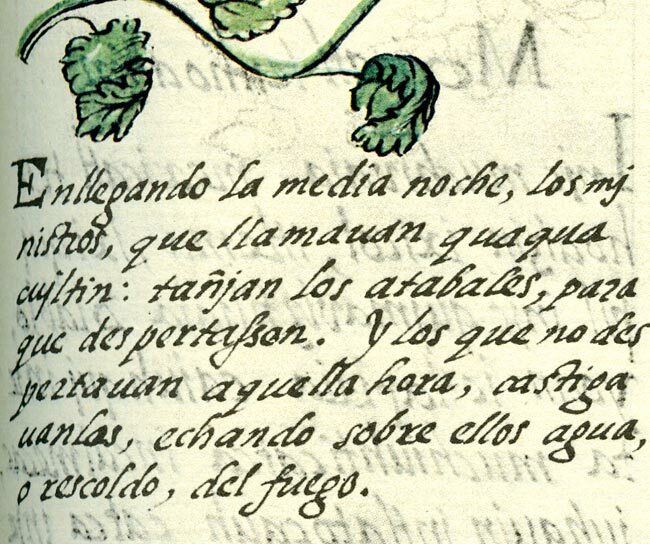 But the text in the original codex gives the game away: it reads ‘Thus was done the blowing of trumpets: when it was late at night, when it was already approaching midnight, the trumpets were sounded, that all the priests might offer blood... Thus were men awakened: those known as the beaters began the keeping of the watch; and if any did not awake, they poured water upon him...’ (Pic 2). In fact, the text goes on to say ‘... or hot embers from the fire’! Either way, no doubt the old priest would have leapt up instantly from his reed mat bed! 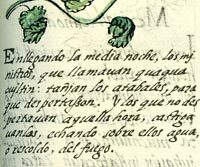 The conch was not just an important announcing instrument (played 4 times during the day and 5 during the night), it had many associations with gods, women and fertility, the moon, the number zero (for the Maya) and the wind: it was one of the key symbols of Quetzalcóatl-Ehécatl, the wind god, who had the power to blow life into an object (the shell) that would otherwise stay ‘lifeless’ for ever. Can you see the shell hanging round Ehécatl’s chest (Pic 3)? To the Spanish, the droning sound of Aztec trumpets was enough ‘to curdle the blood’. 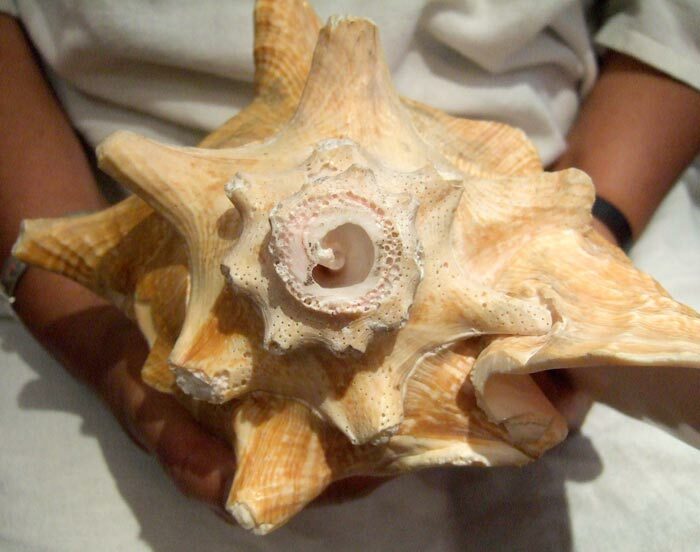 If you’d like to hear one of the world’s foremost conch players, visit Steve Turré’s homepage (also on our Links pages). Open up the main picture at the top: see how loud the blast from the conch shell was - the trumpeter is wearing earplugs!! Steve Turré - world class conch player! Mexicolore replies: Cheers, Chris, this is a GREAT video of Steve Turre playing conch shell trumpets! The opening is stunning, and he ends up playing TWO at the same time...! LOL. These “experts” always make mistakes.